The doshas are the operating principles of Ayurveda. They reflect the different qualities of nature and are responsible for all the functions of the mind and body. The melodies and compositions on these three CDs have been specially chosen to harmonise these doshas. 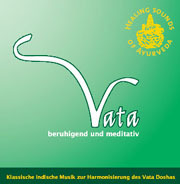 Soothing, meditative sounds for relaxation and a sense of well-being. Raga Madhuvanti presented by Pt. Ronu Majumdar (Bamboo flute). 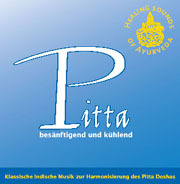 Calming, cooling melody to balance Pitta dosha. Raga Ahiri and Raga Charukeshi presented by Kushal Das (Surbahar, Sitar). 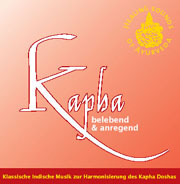 Exhilarating, stimulating music for energy and dynamism. Raga Bairagi presented by Pt. Tejendra Narayan Majumdar (Sarod).